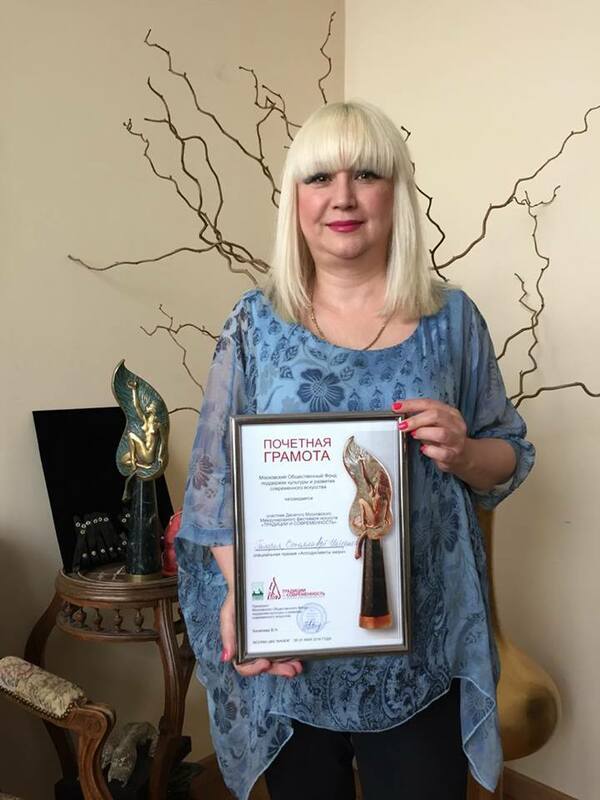 Nigar Narimanbayova awarded "Jury's Applause"
Azerbaijan’s famous artist Nigar Narimanbayova was awarded at the 10th International Fine Art Festival "Traditions & Contemporaneity” held in Moscow in May 2016. Narimanbayova, who has become a favorite artist of many art lovers, presented works from the new series of "Love Toys", Trend Life reported. The artist's works "Puppet", "Obscure Object of Desire", "Cage", "The harlequin and the Ballerina” were presented by the French Stella Art International Association in the Festival. Such attention was certainly expected, as the artist's paintings have been already displayed in the best exhibition halls of Europe, and this time the Russian art lovers had a change to saw them. "Me and my colleagues received a special prize and honorary diploma of international jury "Jury's Applause" ", she added. The jury members included famous French designer Pierre Cardin, President of the Russian Academy of Arts, people's artist of the USSR Zurab Tsereteli and others. Noteworthy, the chairman of jury was People's Artist of the USSR, Azerbaijan and Russia, the vice-president of the Russian Academy of Arts, Tahir Salahov.